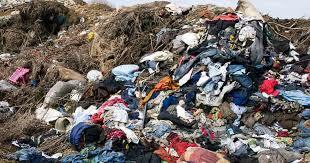 December 15, 2018—The clothing industry contributes 10% of the greenhouse gases to our planet’s atmosphere and is the second largest polluter of our freshwater lakes and streams. The industry has been producing 1.2 billion tons of greenhouse gases every year, making it one of the top polluting industries on our planet. Most clothing worn in the U.S. contains some cotton. 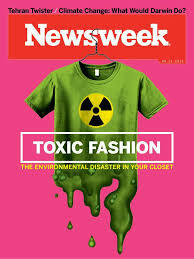 Sixty percent of women’s clothing and eighty per cent of men’s clothing contains cotton, and the streams surrounding clothing factories are polluted with dyes and chemical runoff from the clothing industrial sites. Many cotton fields are located in the arid deserts of the Southwest United States, where farming the cotton requires water that is slowly depleting the rivers and streams. It takes approximately 2.5acre feet of water to grow cotton. (An acre foot is the amount of water it takes to cover one acre of the surface area to a depth of one foot.) To make one pair of denim jeans, 10,000 liters of water is required to grow one kilo (about 2.2 pounds) of cotton needed for the pair of jeans. In comparison, one person would take 10 years to drink 10,000 liters of water! According to the World Resources Institution, “Growth of the multi-trillion-dollar apparel industry has been fed by “fast fashion,” which makes clothing cheap and fast with a low price-tag.” This is why the fashion industry is turning to sustainability in an attempt to mitigate some of its damage it has caused our planet. With the help of the United Nations many big corporations within the fashion industry have recently resolved to shift practices, following the guidelines of the Paris Agreement on Climate change. An initiative of United Nation Climate Change attempts to lower the greenhouse gases attributed to the fashion industry by setting targets for the fashion industry to achieve net zero emissions by 2050. The initiative attempts to work with the fashion industry by helping it select climate friendly and sustainable materials, by using low-carbon transportation to move the manufactured articles, by producing less carbon during the production of clothing and by encouraging sustainable fashion connections that offset the carbon emissions with investments in carbon emission reductions. The fast fashion retailer H&M shared their strategy to be 100% renewable energy by 2040 with a fully circular production model, where the by-product of one industry serves the objective of another! Other signers of the Initiative include Esprit, Guess, Gap Inc, and Hugo Boss. 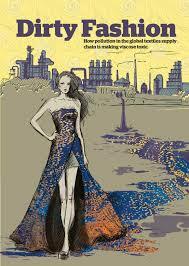 “Additionally, the famous blue jean manufacturer Levi, Strauss & Co has announced a new climate change action plan. Using Science Based Targets, the company plans to reduce greenhouse gas emissions by 40% across its global supply chain by 2025. The plan also includes a 90% reduction in greenhouse gas emissions in all owned-and-operated facilities, which will be achieved by investing in onsite renewable energy and energy efficiency upgrades.” The initiative remains open for others in the clothing industry to follow suit. Categories: Building Green, Climate Change, Pollution, Renewable Resources | Tags: #climatechange, #renewableenergy, Climate change, fashion industry, Renewable Resouces, Sustainable energy | Permalink.